Minimally-invasive surgeries can help you recover from severe joint pain and dysfunction without the lengthy recovery period of a traditional open surgery. 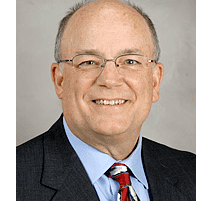 UT Physicians: Brian S. Parsley, MD is an orthopedic surgeon in Bellaire, Texas, specializing in minimally-invasive hip and knee surgeries for those with arthritis and other joint issues. To learn if you’re a candidate for minimally-invasive surgery, schedule a consultation online or by phone today. What is a minimally-invasive surgery? Minimally-Invasive surgery is a type of surgery that involves fewer and smaller incisions than traditional open surgeries. During a minimally-invasive surgery, Dr. Parsley uses an arthroscope — a tiny camera inserted through the incisions. Using live video images from inside your joint, Dr. Parsley can perform detailed surgeries using miniature surgical tools without the need for large incisions or other invasive procedures. What are the benefits of minimally-invasive surgery? Minimally-invasive surgeries are beneficial for patients of all ages, though Dr. Parsley modifies your surgery based on your unique anatomy and diagnosis for the best outcomes possible. What types of minimally-invasive surgeries are available? During a unicompartmental knee replacement, Dr. Parsley makes a small incision to access only one of the three compartments in your knee: either the medial, lateral, or anterior aspect of the joint. This procedure is performed when osteoarthritis affects only one compartment of the knee. While you are under sedation, Dr. Parsley cleans damaged tissue from the affected compartment and places surgical implants, if needed, into the joint for support. Using a muscle sparing approach for total knee replacement surgery can get you back on your feet and provide you with the ability to fully bare your full weight on your leg safely immediately after surgery. Dr. Parsley continues to refine his surgical approach to minimize the impact of surgery on the muscles around the knee and provide a faster return to full function following knee surgery. Using the two-incision approach for a total hip replacement, Dr. Parsley accesses your hip joint through two small incisions on the front and side of your hip. He removes the damaged bony structures and replaces them with prosthetics for better joint function and decreased pain. This surgical option preserves most muscles and ligaments in your hip, making recovery faster and easier than traditional open surgery. For more information on Minimally Invasive Surgery, please click here. To determine if you’re a candidate for minimally-invasive surgery, schedule a consultation online or by phone with Brian S. Parsley M.D.